Highly qualified and talented engineers are in high demand, and it’s not as simple as posting a job opening online and hoping for the best. HR managers often find themselves flooded with piles of poorly matched resumes from individuals who lack the qualifications needed for the job. Even those who seem right at first glance may stumble during the interview or simply won’t fit with the company’s goals and work environment. Finding the right engineer is critical to your organization’s ongoing success. You need to be absolutely sure you’ve filled the position with someone who will truly excel. At Perceptive Recruiting, we’re not marking off a checklist for “seems about right” and calling it a day. 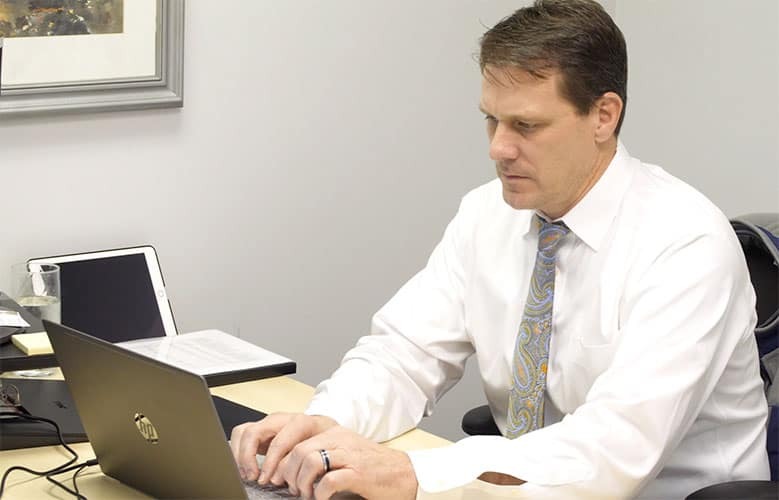 Instead, we take the time to sort through the details in a candidate’s résumé, verifying qualifications and work history in order to save you time and ensure that your company receives only the best-suited candidate for the position. 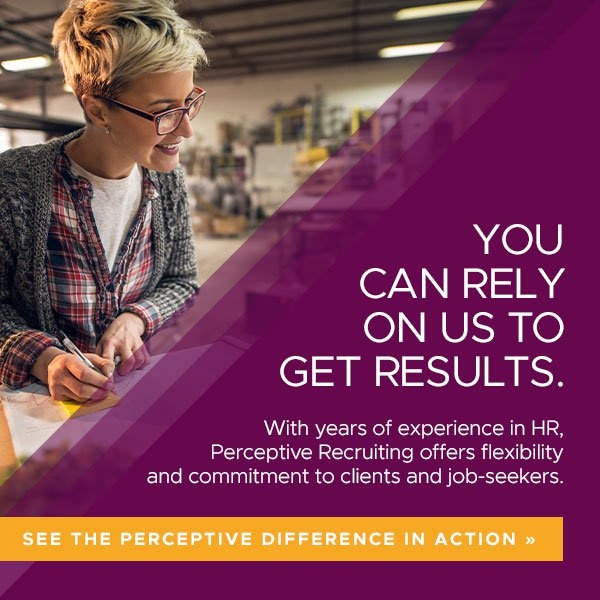 Our focus is on building strong relationships with our clients and with job-seekers, giving us a unique flexibility and insight that has Perceptive Recruiting head and shoulders above the rest. Are you an engineer searching for a challenging career opportunity that truly lets your expertise shine? Perhaps you’re currently employed but would be willing to make a change if the right opportunity came your way. Perceptive Recruiting not only takes in résumés for our active engineering job vacancies on an ongoing basis, but we also build long-lasting relationships with engineers while they search for an opportunity that matches their values, skills, and experience. For us, it’s not about just finding a job, but finding the right job. We not only connect qualified candidates with job openings in their area of expertise, but also have a working environment and company culture that match. The Right Candidate. The Perfect Job. The Perceptive Difference. Whether you are searching for an engineer to fill an open position within your company, or you’re an individual job-seeker looking for engineering job openings that will fit within your ambition, skills, and values, Perceptive Recruiting is ready to help. To get started, check out our current job openings or contact us about hiring engineers at (864) 256-0203 or online at any time.